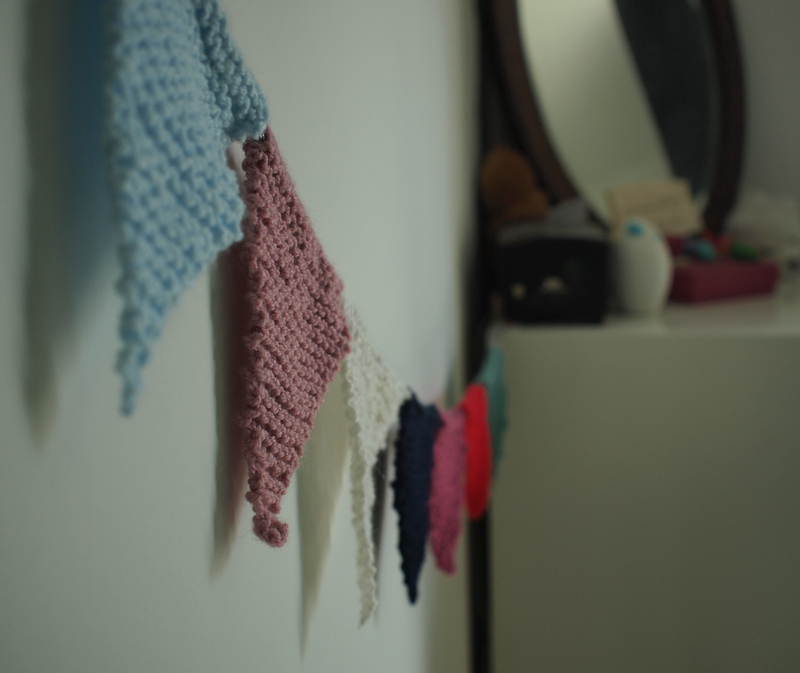 Inspired by the beautiful knitted bunting at ‘The Broca’ in Brockley I thought this bunting might girlify my pretty boring bedroom. I’ve just been making a few pieces in between other projects as each flag takes about 10 minutes to make. 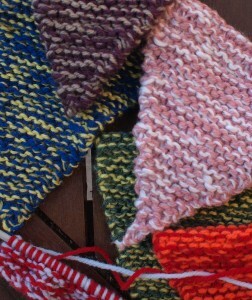 These are really easy as they use a very simple garter stitch. In some pieces I’ve used two different colour wools together to create a different look. 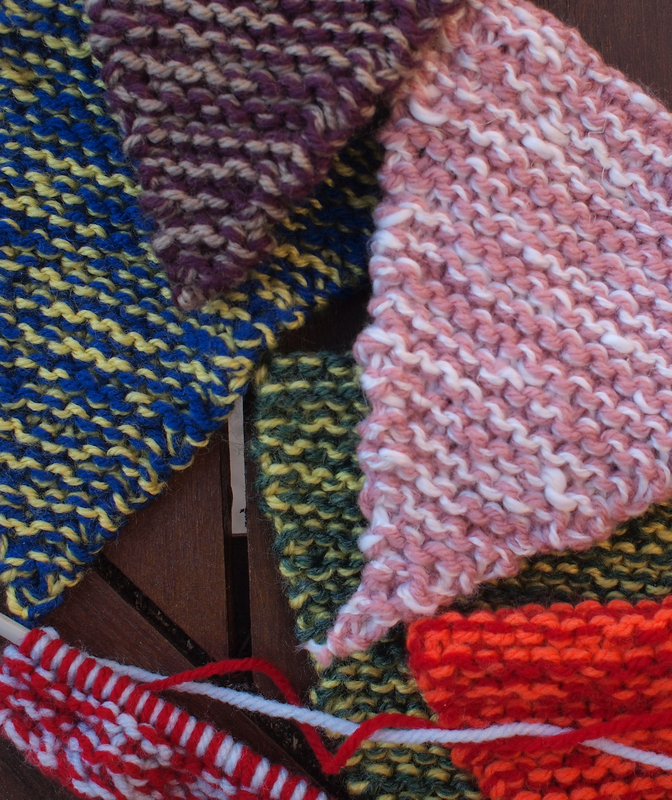 The simple bunting pattern will create a flag that will need to be sewn to a ribbon, for my flags I knitted in a loop for a ribbon to thread through as I hate sewing. You could experiment with different sizes of wool or needles but the basic pattern is the same. Repeat rows 1-4 until there are only 2 stitches left on the needle. Using 1 or 2 threads cast on 20 stitches. Knit each stitch together with a stitch from the hem joining the two together.